How does the idea of experiencing the comfort and care of air travel at the value for money of a bus journey sound to you? Pretty appealing, right? That’s exactly what ‘Olivea – Travel Redefined’ promises. Olivea promises luxurious interiors designed by D.C (Dilip Chhabria), personal entertainment system with Dish T.V. connection, on-board Wi-Fi, business class recliner seats, three course meals, on-board toilets, bus stewards, and more. Olivea might well be among the most premium bus services in the continent. Unfortunately, I will never know, because I am never travelling by Olivea. Olivea buses aren’t cheap, but they are a fair bit cheaper than regular air fair. However, compared to other bus services, you will still be paying a premium. When you charge your customers a premium, and portray yourself as a luxury brand, providing brilliant customer service is pivotal. 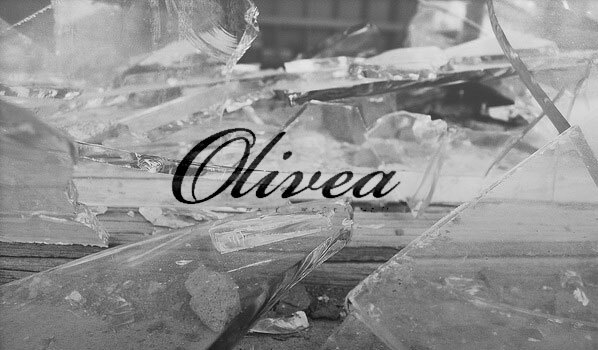 However, it seems that no one told this to Olivea. On the record, my tale begins on the 25th of June, 2012. However, my first interaction with Olivea was a week earlier. After reading about Olivea, I wanted to book a seat for my girlfriend who was coming to town. But, before booking the seats, I wanted to ensure that the boarding and drop-off points were convenient enough. I tried calling their Hyderabad number, and no one picked up the call. Tried their national toll free number, and the same experience. I tried calling their Bangalore number, it refused to connect! Frustrated, I posted my question on their Facebook page. I received a standard boilerplate reply that simply pointed me to the numbers I had already tried, instead of answering my query. I should have given up by now, but I tried again after a few days. This time someone responded on the Hyderabad number, and I was able to get my answer. On the 25th of June, I booked a seat for 1st of July Bang-Hyd journey. A mere two days before the journey, Olivea called up my GF to inform that the trip I had book was invalid. She was informed that it never existed, and was shown on the internet booking portal by mistake! The Olivea representative promised a refund within 10 days. I have never heard any other travel company allowing bookings for non-existent trips. The situation was already beyond ridiculous; however, it turned from being ridiculous to bang-your-head-on-the-desk frustrating over the new few months. Olivea’s promised refund never arrived. I followed-up with a reminder mail inquiring about the status of the refund on the 12th of July. No one bothered to reply. After waiting another week, my GF called Olivea and was asked to resubmit the booking details. So, she did. This time, we were asked to wait fourteen days for the refund to be processed. Of course, nothing changed in those two weeks. We followed up again, and were again directed by Olivea support to redo the entire process, beginning with emailing booking details. And again, nothing happened. The last email that I have on record from Olivea was on September 25, exactly three months after the booking date. I have long since given up on the refund, since neither of us had the time or energy to chase down a bunch of scammers over one bus ticket. A trip I booked turned out to be invalid due to Olivea’s negligence, the auto-refund I promised never materialized, Olivea’s customer support kept going in circles, and all refund requests vanished into some mysterious abyss. That’s the summary of my Olivea Travels review. Olivea’s ill-trained, confused, and thoroughly clueless customer support can give the staterun BSNL a run for its money. Olivea promises the sky, but fails on even the most basic aspects. I am publishing this as a cautionary tale for others. It’s still patently obvious that Olivea hasn’t mended its ways. The website still looks like an amateur effort with links that can’t be clicked and files that can’t be downloaded. A quick search on Google for Olivea Travels reviews throw up similar tales where passengers have been duped and tricked by Olivea. Irfan recounted an experience similar to mine on Mouthshut, where he was also told by Olivea that the timings shown on the website are incorrect and the trip he had booked didn’t exist. Several others have reported stinky buses, with creeking seats, dirty blankets, cold food, and non-functioning entertainment systems. A quick look at their Facebook page still throws up numerous complaints about non-functioning or non-responsive numbers and faulty online booking. And in typical Olivea style, all Facebook queries are unanswered. It’s obvious that Olivea has learned little, and is continuing to to scam, fool, and trick customers in the guise of redefining travel. + 1. Faced most of this but not personally. Asked my office to use them for my bus tickets. They canceled both trips a day before on Friday PM time. Phone numbers didn’t work or answers didn’t make sense. I called up some manager who sounded uninterested and also was of no help. My office was promised a refund ( I don’t know if the vendor connected to my office travel got the refund or had made the payment in the first place :)). Thankfully my office made alternate arrangements. If all that wasn’t enough, I was called after I reached the destination city as to why I didn’t make the “To” trip. I informed them of what had happened and they gave some generic response. My return trip was obviously cancelled. They again called me some time before my return trip to enquire why I wasn’t there at the bus stop!! I am so glad I never made it to their bus stop and hopefully I never will. Thanks for sharing your experience. Their incompetence and lack of interest is shocking.